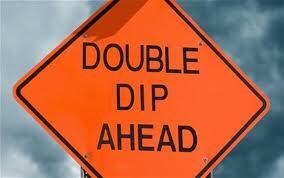 Is Your Financial Advisor a Double Dipper? Jed Horowitz (Reuters) wrote an excellent article about three wealth management firms that market themselves as objective financial advisors, but they are being paid hidden compensation to market the products of particular mutual fund families. This is double dipping, but it is also a very onerous business practice that impacts unsuspecting clients who believe they are receiving objective advice that is free of potential conflicts of interest. The double dipping firms are Registered Investment Advisors (RIAs) who are paid asset-based (percent of assets) fees to help investors develop strategy, select managers (in this case the funds), allocate assets, and monitor investment performance. They are supposed to use their specialized knowledge to help their clients select the best funds based on their rate of return objectives and tolerances for risk. RIAs are financial fiduciaries. They are held to the highest ethical standards in the financial service industry. The principal standard is putting their clients’ financial interests ahead of their own. These firms are in breach of their fiduciary responsibilities when they route client assets to mutual fund families that pay them hidden compensation for asset flow. RIAs that have been caught with their hand in the cookie jar say they fully disclose this nefarious business practice to their clients. But, that is pure spin because the firms know very few clients ever read their disclosure documents from their financial advisors. Especially, the documents that are loaded with legal jargon and are printed in six-point type. They meet the letter of the law, but if you surveyed their clients, less than 5% could describe the disclosures or explain what they mean. Client friendly disclosure would be in English, 12 point type, and condensed so it is easy to read and understand. One reason investors do not read disclosure documents is they don’t think they have to. They trust their financial advisors to do what is best for them. Investors rarely know when their friendly, trustworthy advisor decides to take advantage of them to make more money. Most investors are adamant that their advisors would never take advantage of them for money – even Bernie Madoff’s clients thought he was their friend. Investors should wise-up and realize the investment of their assets is a business. They pay a lot of money to third parties for results. Their financial advisor should be accountable for results and disclosures that protect their interests.